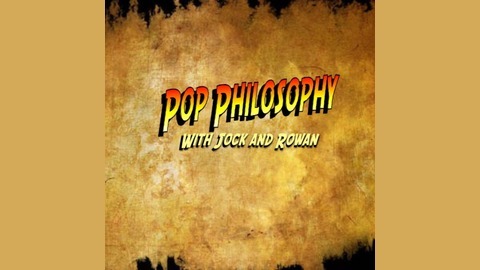 Pop Philosophy is a podcast by Jock & Rowan. Each month both hosts will examine, critique, offer opinions about narratives, motifs, and symbolism in popular culture, TV and movies. WARNING, COURSE LANGUAGE: In this episode, Rowan & Jock are joined by a special guest from Launceston. He is the organiser of Incider Comedy and is known as a man of mystery, and for being the best-dressed man in the Launceston Comedy scene. In this episode, the three guys cover the movie SOUTH PARK: BIGGER, LONGER & UNCUT. Alex Jones and constructivism are some of the controversial things the guys discuss in this episode. You can find Jake Baylis performing Stand-up comedy every second Wednesday of every month at Incider Comedy at the Red Brick Road Cider House, located in Launceston, Tasmania. You can also find Jake Baylis on Facebook at Jake Baylis- comedian, or jbycomedian. In addition, you can find him on Twitter at @OfficialBaylis. As for Rowan Cooke, you can find him on Facebook, his twitter handle is @journocookie. 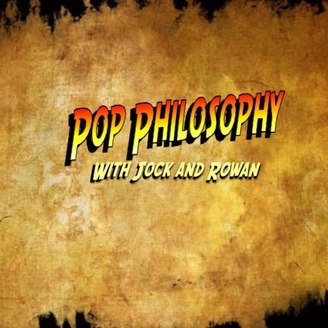 You can find Pop Philosophy on Facebook, just look for the logo. Furthermore, if you want additional content you can find the Twitter handle at @PhilosophyPop. If you want to donate some money, Pop Philosophy also has a Patreon. Pop Philosophy uses Pod O Matic to stream to podcast services such as Apple Podcasts and Stitcher. Lastly, This podcast is also available on YouTube.